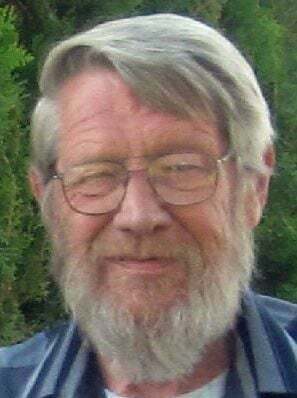 Larry Bell, age 78, passed away at his home in Rupert, Idaho on Monday, January 7, 2019. Larry was born November 13, 1940 in Rupert to John Alvin “Smoky” and Hattie Alma (Phillips) Bell, the oldest of five children. Larry grew up in Acequia and Declo, attending school and working with his father shearing sheep, harvesting grain and hauling hay. Larry graduated from Declo High School in 1958. He joined the Army National Guard after high school and was honorably discharged in 1967. He also attended college at MVCC in Albion, Idaho. Larry married his high school sweetheart, Bette Jeanne Walker, on August 28, 1959 in Burley. They made their home south of Declo next to Bette’s parents, Austin and Betty Walker, where Larry helped his father-in-law develop his farm. They were blessed with two daughters, Cindy and Debbie. For a time they also provided a home for Larry’s brother Harvey and his sister Laura. In 1972, Larry and Bette bought a home north of Acequia where he farmed and raised cattle. Larry and Bette had an “open door” policy and have always had children in their home. In 1985 they welcomed Terra Hayden and later her brother Lenny Sheen into their family. Larry had many occupations during his lifetime, including being a mechanic, welder, farmer and truck driver. He was a former member of the local Teamsters Union. Larry tried many different ventures, some of which worked out better than others. He used his exceptional welding skills to build many different trailers and other machinery, many of which were original designs. Larry loved hunting, fishing, boating, camping and especially whitewater rafting. He shared the love of these activities with his family and many longtime friends. He was preceded in death by his parents; his mother and father-in-law, Austin and Betty Walker; his sister-in-law, Karen Walker Powers; and his brothers-in-law Lloyd Powers, John Pandalis and Randy Hill. Larry is survived by his loving wife of almost 60 years, Bette Jeanne; His children: Cindy (Dave) Winn of Front Royal, Virginia; Debbie Ochoa of Rupert; Terra Frei of Boise; and Lenny (Kandi) Sheen of Burley. His siblings: brothers Jack (Kathy) Bell of Tooele, UT; Arthur Bell of Provo, UT; Harvey (Joan) Bell of Declo; and sister Laura Bell of Payson, UT. His sisters-in-law Bonnie Pandalis of Rock Springs, WY; Carla Hill of Highland Ranch, CO and brother-in-law Toby (Joni) Walker of Declo. He is also survived by his grandchildren, Dustin Bell, Brookel (Shaine Mortensen) Taylor, Michael Winn, Emilie, Rylie and Macie Frei; Step-grandchildren: Danielle Taylor (Jeremy) Martin; Paige (Dusty) Roberts, Xyo and Bryce Dirickson; one great-grand son Waylon Mortensen; five step-great grandchildren, many nieces, nephews, great- nieces and nephews. The family would like to thank everyone for their support with a special “Thank You” to Home Health and Hospice in Rupert. A memorial service will be held at 1 p.m. on Tuesday, January 15, 2019 at Morrison Funeral Home 188 South Hwy 24 in Rupert. Urn placement will follow in the Rupert Cemetery. The family plans to hold a celebration of Larry’s life later this year, date to be determined. In lieu of flowers a tribute donation may be sent to the Michael J. Fox Foundation for Parkinson’s Research.